As sleepers go the 2019 class has a number of late blooming prospects are still on the board in multiple regions. The west coast has their fair share and one such talent is senior guard Jalen Williams of Perry High School in Arizona. 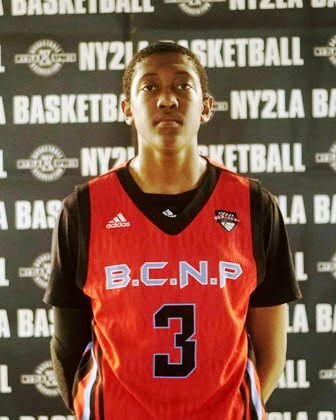 A 6-4 185 pound guard with plus length, Williams can score in bunches with the ability to finish from multiple levels both in half court sets and in transition. Equipped with nice athleticism and bounce, Williams has some nice versatility and he’s shown an ability to slide between either guard spots with effectiveness. A 2nd team All-NY2LA Basketball Association selection this past spring, Williams fills the box score, he can score, he has the ability to create, etc. and he does most of this with efficiency and consistency. As 2019 prospects go he’s one of the best kept secrets on the west coast right now and his best basketball is in front of him. Nevada, Portland State, Hofstra, Colorado State, and San Diego had offers on the table for Williams this past spring. Penn State, Arizona, Arizona State, etc. are other schools that have kicked the tires on the talented guard as well. With the primary focus right now on the top of the class in the 2019, Williams is the type of prospect who could be a potential steal for the right school and the right coach. He played with the Arizona based Blue Chips program during the grassroots travel season.